This post will be short compared to the last few posts. In the next few days I will post high yield good tips for the different subjects, so make sure you visit the website frequently. Also, don’t forget to share the website with your friends. Alright, so let’s get to the anatomy part. First of all, anatomy is extremely high yield for the Step 1 and do not take it lightly. You will get at least 3 to 5 questions per block on anatomy. And those are pretty easy questions if you know your anatomy inside and out. 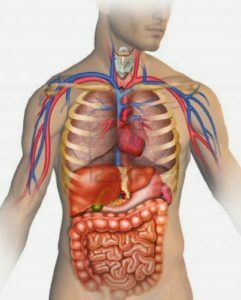 Now, if you been studying for the Step 1’s anatomy section I am sure you are rocked by the USMLE World’s anatomy imaging questions. And, First Aid obviously doesn’t do a good job with the anatomy. So here is what you need to do for Anatomy. By now I am sure you realized that Anatomy is extremely boring so what you need to do for anatomy is watch all the Kaplan Embryology & Gross Anatomy Videos by David Seiden (old guy). Do not watch the Kaplan’s neuroanatomy videos. Those are worse. Just watch the Embryology & Gross Anatomy videos, since he ties them up pretty well. And a good thing about watching his videos is that they follow his lecture notes. 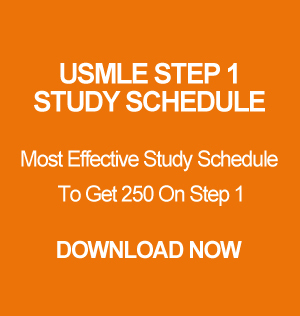 You can also buy the USMLE Step 1 Lecture Notes 2017: Anatomy from here if you don’t want to watch the videos. All you need to do is grab some snacks, sit back and enjoy the videos. Dr. David Seiden is so freaking amazing so don’t skip any of his lectures. I can guarantee you that after watching his videos you will never get an anatomy question wrong. I personally watched him several times and read the lecture notes. He also does an excellent job with CT, MRI, and X-Rays. Make sure you take screenshots of those so that you can go over them later. The videos might seem long but they are worth watching, you will love this guy! I also read High-Yield Gross Anatomy because I wanted to score very high and make sure my anatomy is really strong! And once you are done with Kaplan Embryology & Gross Anatomy Videos, anatomy lecture notes, and High-Yield’s Gross Anatomy, you can read now read FA and do UW. You wouldn’t get any question wrong! Don’t forget to take pictures of all the UW anatomy images with your phone. They are amazing! Good luck studying and if you still need help with study tips and tricks and need a good study schedule feel free to check out my consulting service.